"Hehehe - I love cuddles and attention, but most of all I love to play, go on walks, and make my Mum, Dad and my pals laugh and smile." Another thing that makes Speedy special is that he's not only cheeky, but he's a "Pirate Captain" as well. Due to health problems, Speedy had one of his eyes surgically removed. That doesn't stop him from being adventurous, however. "I was born with Glaucoma in my left eye and lost all the sight in that eye after a few months. It was later removed due to complications with an ulcer on the eye. That’s how I became a Pirate Captain. 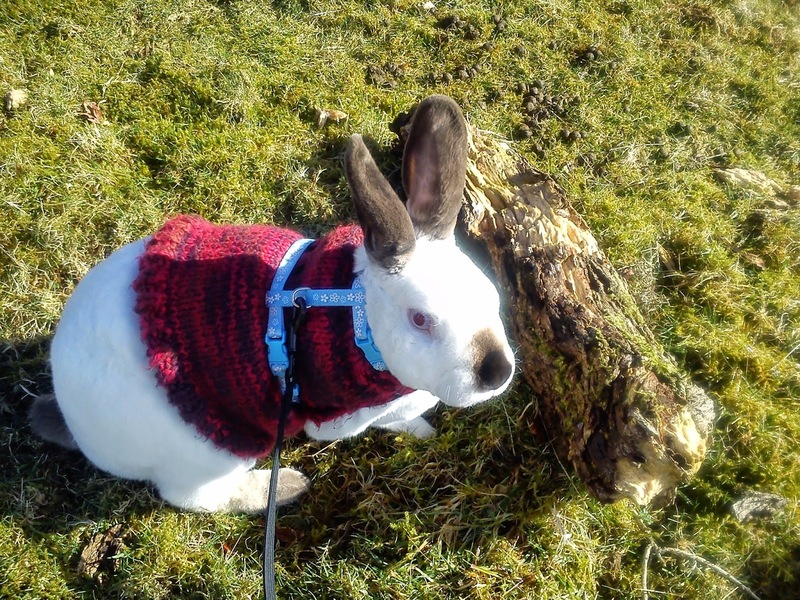 I was rescued from an animal auction where I was to be sold to reptile breeders by a nice man who re-homed me with Mummy and Daddy. I also had a battle with a cat and even though I had stitches I’d like to think I came out on top and I still like cats." "I haven’t got a single favourite activity…. hehehe - I have a few that I just love to do. I love to play with my toys with Mummy and Daddy. I love to zoom up the stairs and run around under the beds. I also love to zoom about my garden, but most of all I love to go out with Mummy and Daddy for walks out on the moors down by the river and in our friends' fields. All that exploring and meeting new animal pals like horses, sheep, piggies and doggies and kitties too! It is just so much fun!" "My Favourites, and I have a few, are my Wagg Carrot Bakes, my Burgess Supa Rabbit Pellets, Banana, Basil, and Parsley... hehehe I said I had a few." Yum! Sounds like a nice variety of tasty noms. 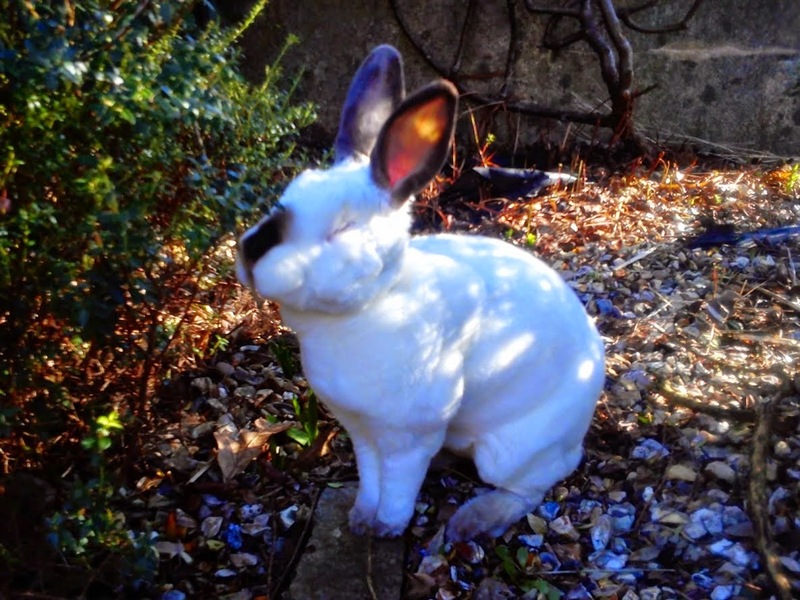 Speedy does have his own award-winning blog called Speedy the Cheeky House Bunny. He also shares his blog posts on WordPress to make it easier for his friends to follow him there. Stop by and say hello to Speedy - he's a very nice rabbit! And be sure to stop by again next Friday for another Pawsome Pet of the Week! Oh Speedy my friend! That right there is my most FAV bunny! Speedy, you have had quite a life. I am glad you have such a nice home. Top notch blogger bunny you are Speedy. Nice seeing you here. Have a fabulous Friday. 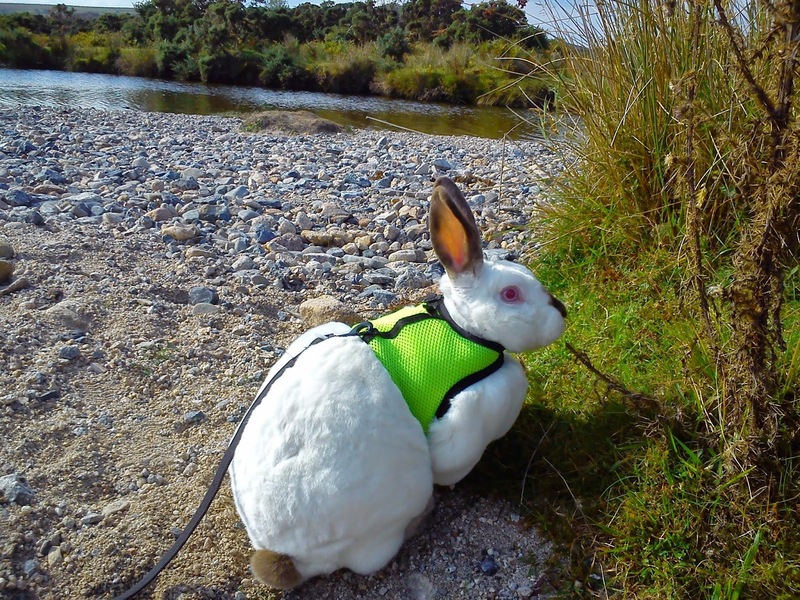 Speedy is so cute in his colorful vests and harnesses! He was nice enough to come by and visit us when you featured Sheba, and we were so glad to meet him. How sweet! We have been friends with him and his mum for a while now. I should have taken a picture of my refrigerator... we have a few cards and photos of him up there too. We love, love, love that Speedy! We love Speedy! Thanks for featuring him this week. I hear a lot about Speedy, but can't be going to his blog all the time as it would make me too crazy being a wabbit girl. What a bummer about his eye. Nice feature pet. Awww... we LOVE Speedy! He's such a sweetie. What fun to learn more about him! OMD - that rabbit looks super soft indeed. What a bundle of fur! Wow...you had a tough time my friend. That's what makes you such a great friend now...my friend.